So far this week, Chautauqua Institution audiences have heard about historical literacy, imaginative literacy and scientific literacy. Now, they’ll learn about perhaps one of the most practical, applicable literacies of all: financial literacy. 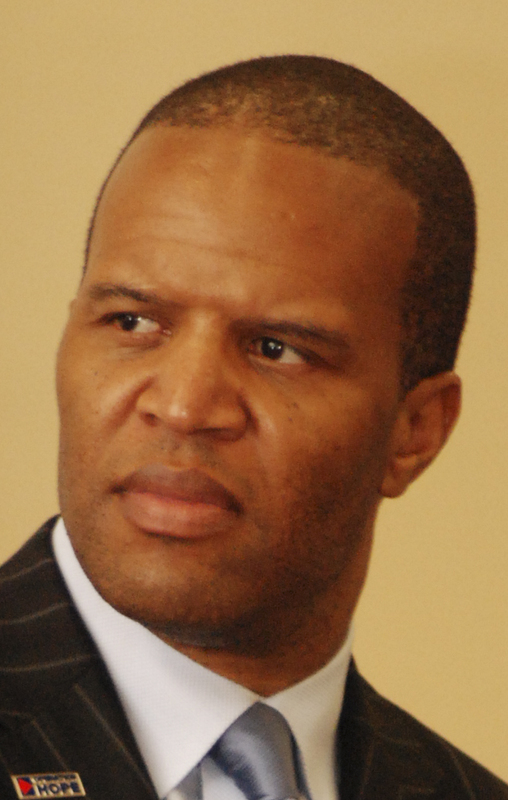 John Hope Bryant will deliver his lecture, “How the Poor Can Save Capitalism,” at 10:45 a.m. today in the Amphitheater. Bryant is the chairman and CEO of Operation Hope, a nonprofit helping empower America’s poor and spread tools of financial literacy. The nonprofit and its partners are responsible for more than $2 billion supporting low-wealth home ownership, small businesses, entrepreneurship and community development in under-served communities across the country. Bryant is also a returnee to Chautauqua. Last year, he delivered an Interfaith Lecture on a similar topic. It was his first visit to the Institution. It’s impossible to embrace the freedom of self-determination without an understanding of what Bryant called the language of money. “My mission is to create an environment for the expansion of the free enterprise system — serving all. We need a new era of inclusive economics,” he said. Bryant advocates for education as the way to enable the impoverished to escape their circumstances. He teaches the poor how to take control of their situations to succeed financially. For Bryant, being poor is equal parts finance and perspective. Being broke, for example, is economic. Being poor, on the other hand, is a state of mind according to Bryant. At the end of his book, How the Poor Can Save Capitalism: Rebuilding the Path to the Middle Class, Bryant outlines 20 solutions to remedy poverty — a “Marshall Plan for poor people.” He said it is the role of the government and the individual in tandem to lift those in poverty succeed. Bryant grew up in Compton, California. A $40 investment from his mother combined with his belief and desire to become an entrepreneur began his transformation. His father owned a business for 50 years and his mother encouraged him to follow his dreams. He managed to beat his competitors through strategic locating his service close to his school. Soon, he was making $300 a week. But his faith was shaken in 1992, following the Rodney King riots in Los Angeles. The same year, he founded Operation HOPE to liberate the poor from economic entrapment by engaging them with the tools to manage money, bank accounts, and the nuance of America’s capitalist economy. Bryant has advised the last three sitting U.S. presidents. On Feb. 26, 2014, Bryant was appointed by President Barack Obama to serve on his new U.S. President’s Advisory Council on Financial Capability for Young Americans, focused on the next generation of young leaders.